← Carrie Wade: Girls Rock! 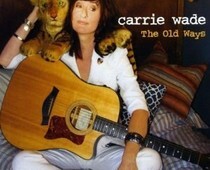 Los Angeles-based singer/songwriter Carrie Wade is more than just another gal with a guitar. She is an artist who refuses to be easily labeled. Perhaps that should be no surprise considering that she has been exposed to various styles of music since childhood. More recently there have been some changes. Wade explains: “Things are different now. I’m able to do what I’m here to do – write and perform music.” Indeed, while she’s performed, recorded and toured with numerous bands, she says she has only “fairly recently” begun to concentrate on her own original material. Wade was also named the Los Angeles’ Music Awards’ 2006 Adult Alternative Female Singer/Songwriter of the Year for “It’s Just Blood”. The following year (2007) “It’s Just Blood” was included in Billboard’s 2007 “Top 500 Entries” of their World Songwriting Contest. 2009 witnessed her song “Broken Soldier” hitting number 39 on Neil Young’s 2009 Living with War Today page at www.neilyoung.com. 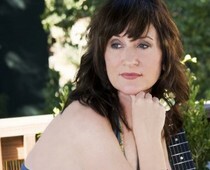 Her most significant achievement, of course, is the 2010 release of her indie debut disc The Old Ways. Produced by Peter Kearns, Marty Rifkin and Wade, The Old Ways is a ten-track CD of what can only be described as Wade’s acoustic guitar-based folk and pop rock. Wade handles vocals and acoustic guitar duties and is assisted by several other artists including: Christopher Allis (drums), Briana Bandy (viola), Benedikt Brydern (violin), Stefano Capobianco (electric guitar), Adam Daniel (piano, classical and electric guitar), Peter Kearns ( bass, harmonium, mellotron, clavinet, organ, percussion, synth, piano, programming and string arrangements), Bob Malone (accordion), Marty (Bruce Springsteen) Rifkin (pedal steel, dobro, lap steel, bass and electric guitar), Elijah Shaw (banjo), Kevan Torfeh (cello) and David Zasloff (trumpet). The lead-in is “Needles in the Waves”. 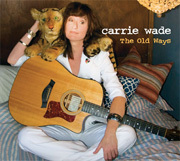 With vocals vaguely reminiscent of Emmylou Harris and lyrics about a current issue, it’s the first example of Wade’s ability to take classic elements from the past and blend them with her own contemporary touches. It’s no surprise this one took the number one slot on KIAC (Independent Artists Company) Folk/Acoustic Rock/Americana Chart for over two months. It even hit number 37 on KIAC’s “big 50” chart. Wade said the song “opens the Country/Folk Channel 17 on all international flights for the months of Sept/Oct.” and that she is featured in their Lufthansa magazine. “It’s Just Blood” is the second selection. This clever, critically-acclaimed cut may have a title that causes concern but it basically focuses on more of an attitude towards her work than anything truly disturbing. It was included on the Quickstar Productions’ Compilation Come Clean, took the top slot for three weeks on the KIAC Pop Chart and climbed to number 14 on the KIAC “Big 50” chart as well. The title track “The Old Ways” follows. This one contains a hauntingly familiar acoustic guitar line that works so well with the song’s lyrics. This one also reached number 10 on the KIAC Pop Rock Chart. Not to be confused with the third hit single from The Cars’ 1984 album Heartbeat City, “Drive” is another original composition and a fan favorite. 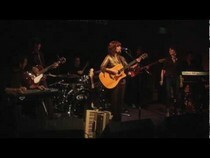 It is one of the tunes she has successfully performed live and translates well in the studio. It is, in fact, one of the hidden highlights here. “In A World that Goes Wrong” is yet another honest, heart-felt, fan favorite. It’s vaguely reminiscent of Aimee Mann’s material and one more song that translates well from live performance to the studio. “Love, Me” is the next number. This one seems to be an emotional, tuneful tale of a personal relationship gone wrong. Still, it leaves listeners wondering if she is exorcising the evil spirits of an ex or at least subconsciously crying out to be loved again. Perhaps it’s a bit of both. “Beyond Struggle” comes next here. It puts your rockin’ reviewer in mind of songs like “Ode To Billy Joe” for some reason. With just a hint of psychedelia beneath, it—like much of her other material–somehow sounds personal and yet leaves a lot of room for personal interpretation. “Sublime” is both slightly sad and yet simultaneously sings the praises of another. The closing cut is “Cuddling with Doom”. This is the final proof of Wade’s ability to create sublime, powerfully-emotive pieces. Wade has composed an album of disparate musical genres and somehow made it all work with a familiar yet somehow fresh combination of chord progressions and themes. This one is the “Critic’s Choice” because it is both interesting and yet radio-friendly. Indeed, “Cuddling with Doom” hit number 4 on the KIAC Folk/Acoustic Rock/Americana Chart and remained there for two weeks. IndieHeart (www.indieheart.com/podcasts.php), CBS/Infinity San Francisco Radio Station KYOU, KYCY AM 1550, the GuitarGirls’ station KIAC, NETTE Radio, The Feminine Groove program at Engage Radio Worldwide (www.evolvingartist.com), TunesBaby (www.tunesbaby.com) and JeRQ-This (www.jerq-this.com) all feature her music. In fact, an acoustic cut not on the CD, “Broken Soldier,” camped out for seven weeks at number 1 on IAC’s Folk/Acoustic Rock/Americana chart. Having also been featured in such publications as Leicester Bangs of the UK and Belgium’s RootsTime and even a few live television performances, Wade certainly seems to be a talent with which to be reckoned.